Valentine’s Day is fast approaching. Have you found the right gift for the loved one(s) on your list? 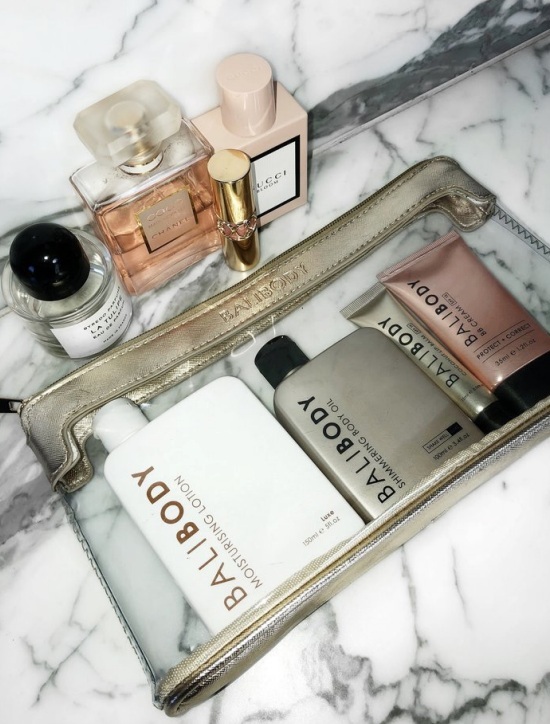 Posh Beauty Blog has selected some favorite lifestyle, beauty and yummy treats that will be perfect for your Valentine, GALentine or MANtine! If you have suggestions, leave them. Bouquet Bar is one of my very favorite things! With just a click of a button, send your special someone or bestie an unforgettable, gorgeous box of florals and delightful gifts, beautifully displayed in a box they won’t forget. The Bouquet Bar “Love Box,” for example, holds a mini-bouquet of delicate red spray roses along with lavender dark chocolate drops, sugar coated sour gummy hearts, old-fashioned caramel corn, gummy bears and a Lavender Fields scented candle, to leave a lasting impression. Or choose one of four designer boxes, mix and match two to six of your favorite treats and add a tall, stunning floral arrangement. Bouquet Bar’s newest Black Box is the ultimate win for the man who has everything and perfect for those who don’t know what to get the beau they just started dating! Prices range from $47.99 to $149.99. Oh, and check out Kim Kardashian’s reaction to her Bouquet Bar box on social media? See it HERE. 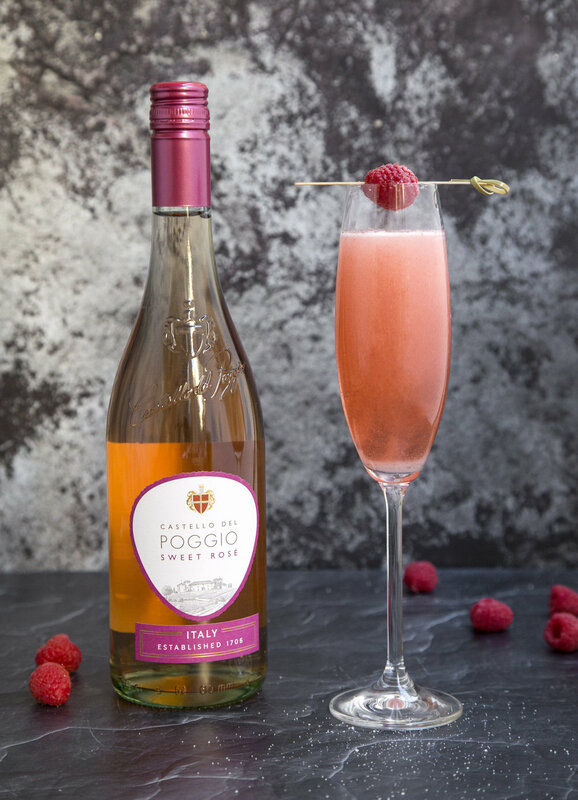 Whether you are celebrating with your beau, gal or your damn self, open up a bottle of Castello del Poggio Sweet Rosé to help celebrate the special night. Seductive, fruity and crisp, Castello del Poggio’s Sweet Rosé is great before and after dinner. Directions: Combine simple syrup, lemon juice, and gin in a shaker with ice. Strain into a glass, then top with rosé. Luxe Moisturizing Lotion is a lightly scented, creamy lotion that leaves skin smooth and firm year-round. Infused with aloe vera and shea butter. Shimmering Body Oil is a lightweight, fast drying formula that contains mica, a shimmer dust that provides a sun-kissed glow with subtle hints of bronze and shimmer, suitable for all skin types. Enriched with coconut, jojoba and grape seed oils for ultimate hydration. Coconut Lip Balm SPF15 is packed with nourishing oils that hydrate and plump dry and cracked lips. Coconut and jojoba oils moisturize lips, creating the perfect pout. BB Cream SPF15 is a multitasking beauty cream that hydrates, while protecting, correcting and perfecting the skin. The lightweight, sheer formula (which includes hyaluronic acid, marine collagen, and green tea extract) provides instant natural coverage, while giving skin a dewy finish. Available in four shades: Fair, Natural, Tan, and Dark. Hydrogen water is known to have powerful antioxidant, and anti-inflammatory effects which makes it a powerful anti-aging water. While the day-to-day exposure to stress, sun rays, and different kinds of exposure to pollutants play a major role in speeding up our aging process and inviting several diseases into our system, hydrogen-rich water can help prevent accelerated aging, damages to our cells, and excessive vulnerability to disease. The device, which is a portable hydrogen-rich water generator, allows people to fill it anywhere with regular water and quickly convert it into ionized water, offers a healthy, eco-friendly and inexpensive solution when compared to other products available on the market. 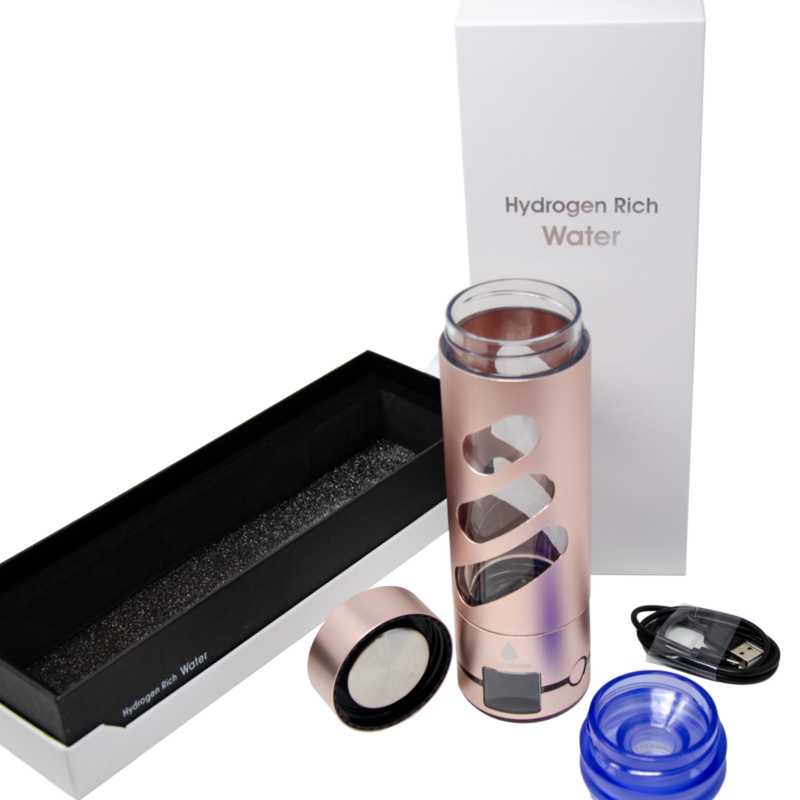 t's designed to have fashion in mind and as you can see it's the most luxury looking Water Ionizer on the planet! Not only luxury looking, it's also high tech and delivers results! Canned hydrogen water is expensive, wastefully uses cans and often comes with a certain smell that consumers do not appreciate. The portable water ionizer works in a safe and chemical-free way that generates odorless and pure hydrogen-rich water in only a few minutes after filling the bottle. Love at first sip for your amoré – at a price you'll adore. Save 14% on all our tantalizing teas when you use code XOXO. (#ValentinesDay sale ends 1/15.) ❤ . Link in our bio! 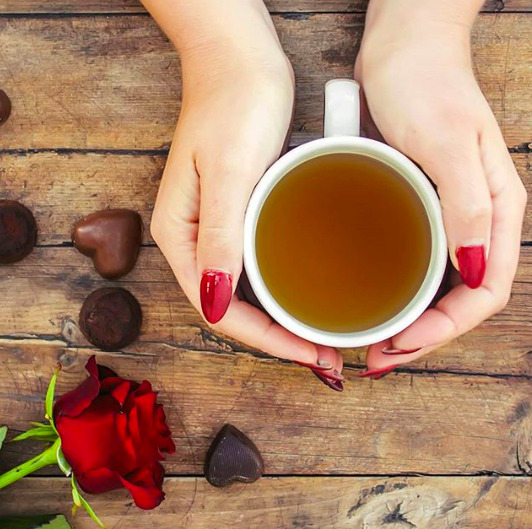 Is your Valentine a tea lover? Fall in love with Good Earth Tea's fruity & citrus "Violets are Blue" Valentine’s Day Bundle. This curated collection of tea comes with three blends that are perfect end to a romantic night in. Valentine's Day is never complete without something sweet. This skin‐pampering body butter is blended with restorative Ucuuba butter gathered in the heart of Brazil. 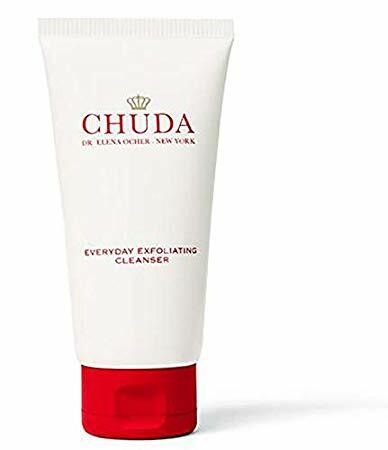 Its unique rich but "dry" texture melts into the skin for a tempting, soft‐to‐the‐touch experience, and up to 48‐hours of lasting hydration. Formulated Without: parabens, sulfates, phthalates, propylene glycol, mineral oil, PABA, petroleum, triclosan, DEA and animal ingredients. The Star Ingredient is Ucuuba. In Tupi, the local language of the Amazon, Ucuuba means the “butter tree” because its red seeds are the source of a naturally hydrating and healing balm rich in essential fatty acids. With a dry touch and surprisingly light texture, Ucuuba butter restores and repairs even very dry skin. Smooth and massage into skin. Use on the body only; it is not intended for face. What could be better than giving chocolate to your Valentine? 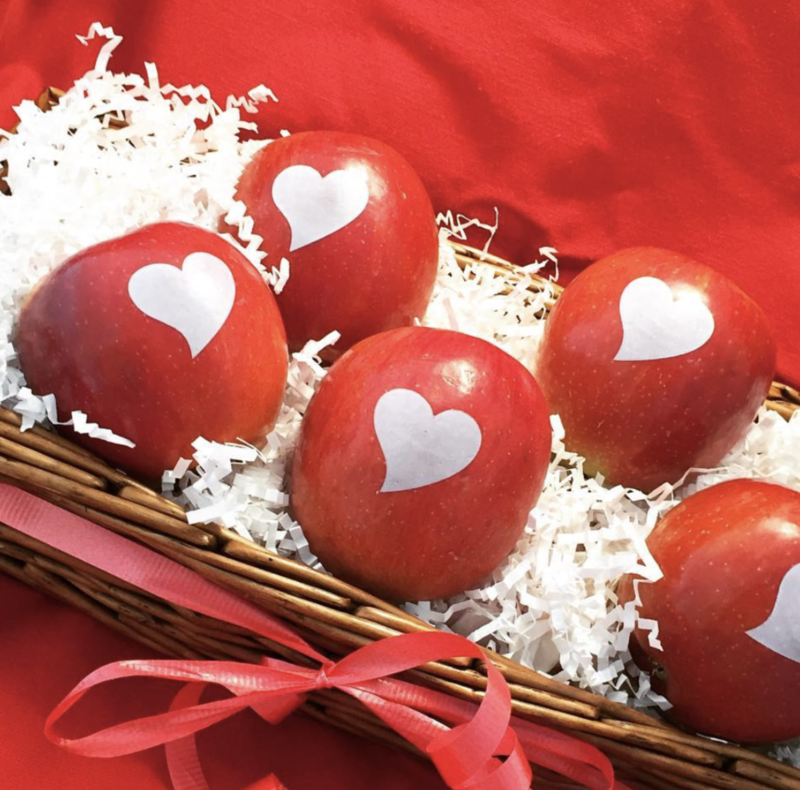 How about healthy, red apples kissed with completely edible heart imprints by Fun to Eat Fruit™ Fun to Eat Fruit™, is a healthy alternative to candy for food enthusiasts. Anything your heart desires can be imprinted on Fun to Eat Fruit— cupid, a hashtag, message of love, even those trendy conversation heart sayings! The imprint is safe-to-eat and all fruit is delivered washed, imprinted and ready to enjoy! Seasonal chocolates from Enjoy Life Foods (the #1 Free-From food brand) are a perfect all-inclusive gift for men, women and kids that are deliciously enjoyable. Enjoy Life Foods Valentine’s Day Chocolate Minis: Packaged for the season of love, these dairy-free chocolate bars are made bite-sized! 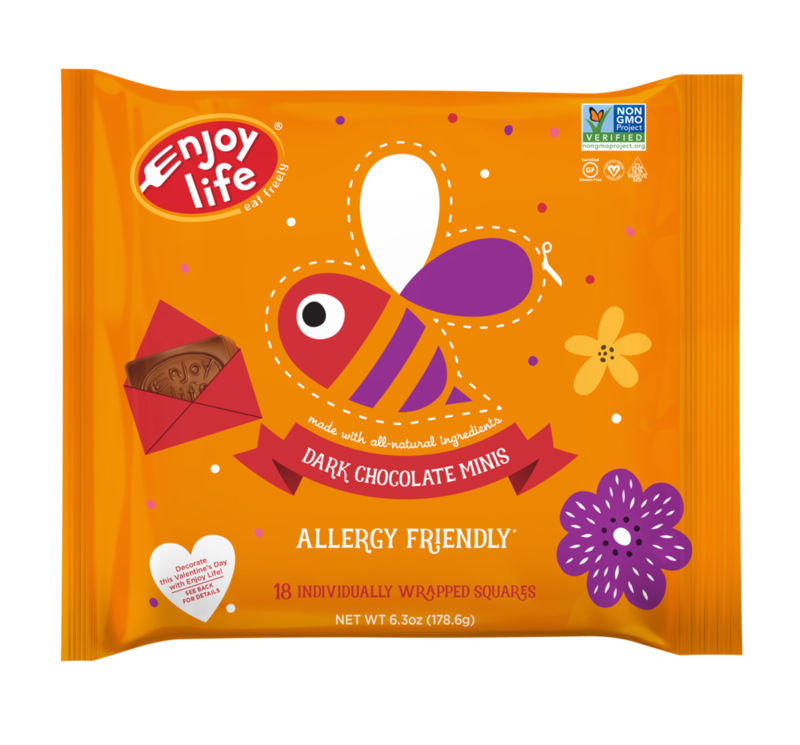 Each bag comes with 18 individually wrapped allergy friendly, gluten-free, nut-free chocolate minis that everyone can enjoy worry-free. Available in four delicious flavors including: Dark Chocolate, Ricemilk Chocolate, Ricemilk Crunch Chocolate and a Variety Pack. The perfect way to treat a special loved one, your friends, or yourself. These chocolates are free from 14 common allergens – wheat, peanuts, tree nuts, dairy, casein, soy, egg, sesame, sulfites, lupin, mustard, fish, shellfish & crustaceans – as all Enjoy Life Foods products are, made with all-natural ingredients and Non-GMO Verified. The ultimate present for any food lover in your life – Back to the Roots indoor gardening kits. In addition to all the Back to the Roots products, Celebrity mom and foodie, Ayesha Curry has just launched her new product – The AyeshaCurry Kitchen Herb Garden by Back to the Roots. Her kit also includes her secret home recipes and complete care instructions, to help your loved one make a special homemade dinner for when you need a night in. All of the kits on the website are fun, cute and unique! Give the gift that keeps on growing with love! Decorté Herbal Vitalizing Lotion Mask is a purifying herbal mask blended from four different Lamiaceae (mint family) plants that helps restore troubled skin prone to dullness and irritation. A flexible, 100% natural cotton mask fits on skin perfectly, delivering the vital power of botanicals to instantly soothe and smooth rough, uneven skin. Skin is reborn with a flawless, smooth and healthy overall appearance. Give the gift of confidence to bear skin at any time. 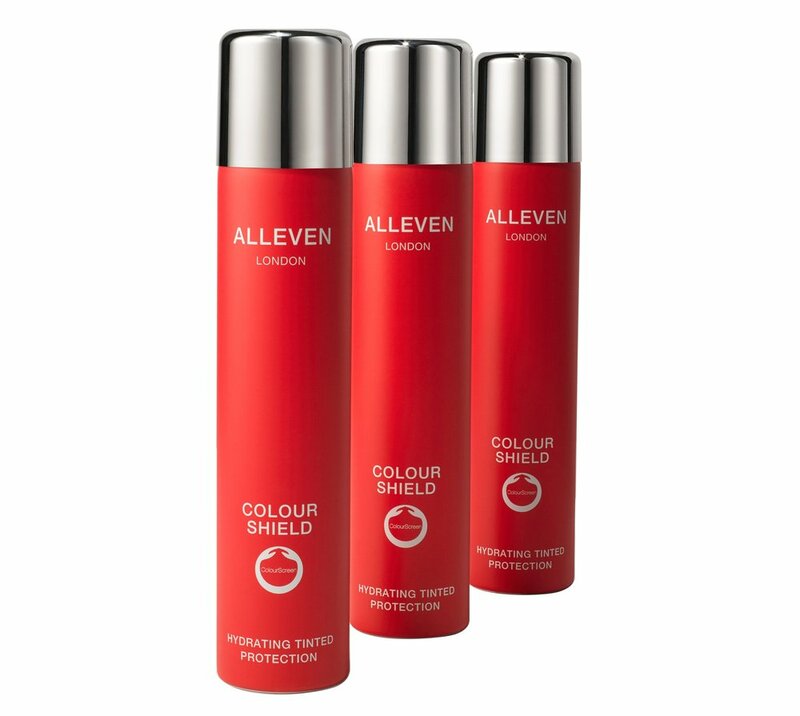 ALLEVEN London Colour Shield is an allover luxury body perfecter, a quick dry, water and rub resistant formula with innovative skin tone adapting pigments, that provides the skin with an even and luminous appearance, allowing you to use it anywhere at any time. Consider this Texas-based, woman-owned spice-subscription box company, called Spice Madam for Valentine’s Day. Every box takes customers on a culinary journey to a new destination every month, which is a fun way for you to have the travel experience each time the box arrives! Their Valentine's Day box theme this year is 'Turkish Delights'. By introducing customers to spices + recipes from around the world, Spice Madam encourages home-cooking and healthy eating. Spices add exciting flavor in place of added fats, sugars and salt. 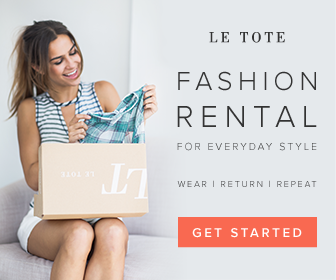 For $20 a month, customers will receive a culinary adventure subscription box filled with spices, recipes and a Spotify music playlist from a different destination every month, as well as fun facts and travel tips from the destination country. Each box comes with a menu plan and a shopping list to help with planning. This helps busy customers save time on trying out cuisines from other countries, searching for the spices, looking up recipes & finding a way to tie it all together. Every box sold support a non-profit that impacts youth education. They also hire refugees to give them opportunities to work. Inspired by artisanal European confections, Joyfuls are dark chocolate treats crafted with 60% cacao and topped with fruits, nuts or seeds, and sprinkled with pink Himalayan salt. Available at your local grocery stores and mass retailers, each sweet and salty treat is individually wrapped for healthier sharing and portion-controlled snacking. With Valentine’s Day right around the corner, these swipe-right worthy loungewear is perfect for a couple to enjoy a night together. Tani USA's Silkcut Leggings and Silkcut lounge shorts are suitable for the perfect Netflix and Chill Valentine’s Day. Whether you wear them around the house or as pajamas, their SilkCut men’s luxury lounge shorts are sure to the most comfortable shorts you've ever owned. Perfect for on the go or as men’s pajama pants. Their Power leggings feature a four-way stretch for incredible support and coverage. The new waistband is state-of-the-art for flexibility, durability, and softness. No Mo-Stache is a portable hair removal kit for women with sleek discreet packaging allowing you to wax wherever whenever. For example, say you are rushing this Valentine's day to wrap up your work day, get home and start your glam routine for a hot date night and you notice on your way out there is upper lip hair when you apply your beautiful red lip. Before No Mo you would pray to the heavens nobody will stare to long and notice your lip. After No Mo, you have the ability to wax in the Uber on the way to the date or even wax in the bathroom at the restaurant when you stumble across that perfect lighting. One kit of No Mo-Stache contains 24 individual waxing strips for the face. These are the perfect accessory for any woman on Valentine’s Day and the other 364 days in the year. Disclaimer: Press samples were provided by some brand/sPR for editorial consideration, product testing, photography and honest review.